It was great to see Australian apprentices and trainees excel at the 44th WorldSkills International Competition, held in Abu Dhabi last month. 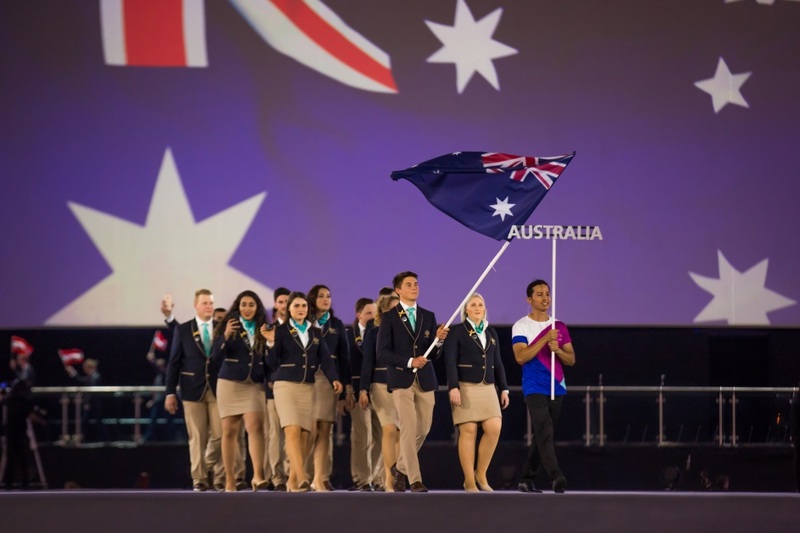 Our Australian Skillaroos team brought home four medals across a number of disciplines, which is a great result. Worldskills is the largest celebration of skills training in the world, with this year’s event involving more than 1,200 competitors from 59 countries, competing across 51 different skills categories. At this year’s competition, participants showcased their skills in a wide range of fields, from 3D digital game art to hairdressing, welding and more. There is no doubt that Australia’s VET system is world class and our Skillaroos have demonstrated this again with their fantastic efforts in Abu Dhabi. I’d like to congratulate all our competitors and particularly acknowledge NSW’s Bradley Ingham and South Australia’s Ryan Grieger who brought home silver medals for industrial mechanical millwright and for carpentry respectively. Congratulations also to NSW’s Lily Campbell who earned a bronze for beauty therapy, and Victoria’s Trystan Sammut for his bronze in bricklaying. While Gaby Ware, from the New South Wales mid north coast, was recognised as Best in Nation for Australia and awarded a Medallion for Excellence for her performance in the hairdressing skills category. 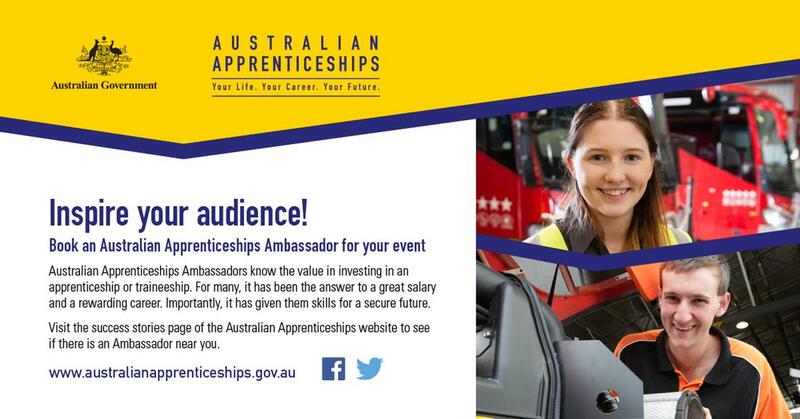 As many students begin to contemplate life after school, the performance of the Skillaroos provides inspiration by showing those students, and all of us, what can be achieved through a skills-based career. There is an increasing global demand for skilled workers and young Australians today are well placed to take advantage of this demand. VET graduates have the advantage of being trained to be work ready with 78 per cent employed after completing their qualification. Worldskills is a wonderful event which showcases the immense array of career choices available through vocational education and training (VET). And as our 18 Skillaroos competitors recently experienced, a skill or trade can take you around the world. So congratulations again to our Skillaroos team – our competitors, as well as mentors and officials. You are great ambassadors for our VET sector and our country. The next WorldSkills international competition will be held in Kazan, Russia in 2019, followed by Shanghai, China in 2021. The following individuals, businesses and registered training organisations have been recognised for their outstanding contribution to vocational education and training (VET) in Australia being named as finalists for the 2017 Australian Training Awards on to be presented on Thursday 23 November in Canberra. The Lifetime Achievement Award and National Achievement Award recipients will also be announced at the event. Register here to book your tickets. 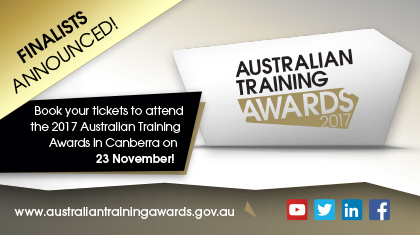 For more information, visit the Australian Training Awards website. Did you know that more than half of all employers use the VET system? • 82.2% of employers were satisfied that nationally recognised training (which is not part of an apprenticeship or traineeship) provides employees with the skills they require for the job. These facts and more can be found in Employers’ Use and Views of the VET System 2017, which was published by the NCVER last week. The survey, which is conducted every second year, asks over 8000 Australian employers about the ways they meet their skill needs and the effectiveness of these strategies. This year marks the seventh time the survey has been conducted. If you are interested in the views of employers who use nationally recognised training or who employ apprentices and trainees this is the most up-to-date data available. Products include a report as well as data tables for users who want more detail. The survey is funded by the Australian Government Department of Education and Training. 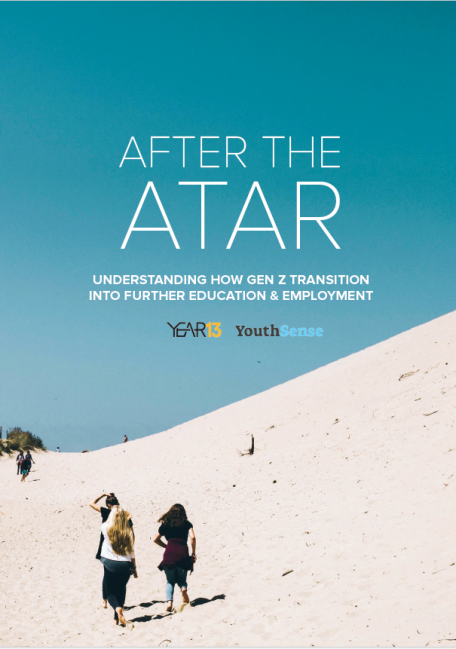 A 2017 report released by Year 13 and Youth Sense titled After The ATAR: Understanding How Gen Z Transition into Further Education and Employment has revealed insights into young Australians and their perspectives on the ATAR, vocational education and training (VET), university and employment. Year 13 and Youth Sense saw over 7300 responses to questions regarding the ATAR, parents and career advisors, VET, employment and education and how their post-school trajectory made them feel. The research indicated that while VET provides necessary skills for the advancement of society, significant issues have developed in the attraction and retention of students. The VET system is also heavily misunderstood by youth and their influencers. Many young people are unaware of the breadth of subjects and courses offered by both TAFEs and registered training organisations (RTOs). However, on a more positive note, when asked how they feel about their training, the top four responses from VET students were positive, with excited (57 per cent), happy (51 per cent), satisfied (30 per cent) and inspired (30 per cent) being the most popular when describing their engagement with VET. To receive a copy of the report, visit the Youth Sense website. The Pharmaceutical Manufacturing Standards Project has now moved to the 'consultation' stage, which means draft qualifications and units of competency are now available for your review and feedback. They have been re-written to incorporate the skills required to apply Good Manufacturing Practice (GMP) principles and procedures. Feedback is being sought on whether the draft qualifications and units reflect the current skills standards and practices of industry, and whether job functions are accurately described. The draft documents will be available on the Skills Impact website for input and feedback until 30 November. To provide your feedback, please visit the Skills Impact website. The Apiculture (Bees) Project has now moved to the 'consultation' stage, which means the draft qualification, skill set and units of competency are now available for your review and feedback. The Certificate III in Beekeeping, skill set and units have been revised to address skills that relate to biosecurity, pollination and business management. Feedback is being sought on whether the draft documents accurately describe all job functions and that they reflect the current skills standards and practices of industry. The qualification, skill set and units will be available on the Skills Impact website for input and feedback until 10 December 2017. Join Skills Impact to discuss the current and future job and workforce needs of the agriculture industry on National Agriculture Day at its Ag Futures Job Forum on 21 November in Canberra. The forum will focus on industry drivers and their impact on the skills needs of workers at all levels. Feedback from the event will help Skills Impact to update the Industry Reference Committee Skills Forecast and Proposed Schedule of Work. This is the key document that informs the government of priority skill needs and seeks funding for projects to review and develop qualifications, skill sets and units of competency. To see an example of current projects that received funding out of last year’s IRC Skills Forecast, click here. Feedback from the event will also inform Skills Impact’s submission to the Senate inquiry into the Future of Work and the Future of Workers, to ensure the inquiry receives information about future jobs in the agriculture and related sectors. For more information about the Ag Futures Job Forum, visit the Skills Impact website. In April 2017, the Australian Industry & Skills Committee (AISC) approved a case for change proposed by the Property Services Industry Reference Committee (IRC) to review the Security Operations Certificate I, II and III qualifications. An activity order for this project was issued by the Department of Education and Training to Artibus Innovation to undertake the review on behalf of the Property IRC. The project scope included a full review and update of the security operations qualifications and included native units. A technical advisory group (TAG), chaired by John Fleming from ASIAL, has been established by the IRC to oversee the project and provide technical input. The TAG includes representatives from employers, industry, RTOs and regulators. The project has focused on occupational analysis as a basis for rebuilding the qualification and unit structure to align with current and emerging work practices and to support a more consistent regulatory approach. The TAG has recommended the deletion of the Certificate I. The TAG has also undertaken a full redevelopment of the Certificate II as a licensing qualification, a redevelopment to the Certificate III to provide a professional development pathway and to house higher skill licensing endorsements (fire arms, batons & cuffs, canine, control room and cash in transit). An additional Certificate III has also be developed for Close Personal Protection. Industry consultation has included meetings with key regulators (individually and through the Security Industry Regulators Forum (SIRF), presentations at industry briefings organised by ASIAL and direct consultation with key stakeholders. The Australian Government Department of Education and Training will host its annual Skills Forum ahead of the Australian Training Awards in Canberra on 23 November. Assistant Minister for Vocational Education and Skills, the Hon Karen Andrews MP will address the Skills Forum. The Skills Forum aims to bring together State and Territory Government representatives, Australian Training Awards finalists, peak industry bodies, and VET strategic external stakeholders to hear from the Department regarding new skills initiatives and the current and future challenges and opportunities facing the sector. This year, the Skills Forum will also serve as an exclusive introduction to an Australian Government initiative to implement a long term, sustained communications approach to elevate the status of VET in Australia. Access: Delegates can enter the building from Marcus Clarke St side of the building, rather than the main entrance—pull up banners directing delegates will be visible. National Agriculture Day will be celebrated across Australia on 21 November 2017. Australia’s agricultural industry has always played an important role in our success as a nation. This is an exciting industry to commence a career – and vocational education and training offers numerous qualifications in this field. The stories of Chris Henbery, Seafood Training Tasmania and Alistair Keller are testament to the great opportunities available in the agricultural industry. Seafood Training Tasmania is the largest training provider to Tasmania’s seafood industry. Since commencing operations in 1986 as the Fishing Industry Training Board, the small training provider has grown to offer 18 nationally recognised courses to more than 600 students annually. In 2014, it was awarded the Small Training Provider of the Year Award at the Australian Training Awards. The sixth generation of his family to undertake a career on the land, at 18, South Australian Alistair Keller completed an Australian School-based Apprenticeship in Agriculture. VET Alumni members comprises of Australia’s best VET students, businesses, teachers and registered training organisations. They know first-hand the value in investing in VET as either a career, to grow their business or to enhance their training services. Visit VET Alumni to find out more. If you would like to provide feedback, supply an article for inclusion in the next edition or join our list of subscribers, please email skillsatwork@education.gov.au. The next edition will be published in December 2017. Submissions are due by Friday 20 November 2017.